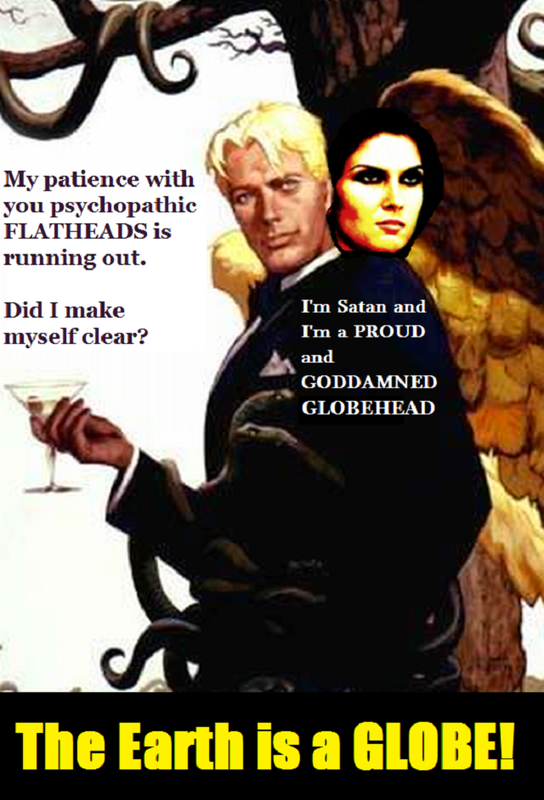 Don't worry GLOBEHEADS: Satan is on your side! Flat Earth v Round Earth is a SATANIC DISTRACTION? The Globe Earth LIE is a SATANIC ATTACK on God's FLAT EARTH REALITY! Get to know I AM SALVATION = JESUS! Too bad for Satan: 'space' doesn't exist! And the POPE and 'OBAMA' are IDIOTS too! @Classic Christian Vinyl JESUS is GOD and He wants to save you from God's eternal wrath. 6 Jesus said unto him, I am that Way, and that Truth, and that Life. No man cometh unto the Father, but by me. 12 For there is no difference between the Jew and the Grecian: for he that is Lord over all, is rich unto all that call on him. 16 And without controversy, great is the mystery of godliness, which is, God is manifested in the flesh, justified in the Spirit, seen of Angels, preached unto the Gentiles, believed on in the world, and received up in glory. 23 For the wages of sin is death: but the gift of God is eternal life, through Jesus Christ our Lord. DEATH is a SEPARATION from God and the SECOND DEATH or the LAKE OF FIRE, aka HELL is the ETERNAL SEPARATION from God. God cannot destroy supernatural creatures like fallen angels and condemned humans, who are meant to be like the angels, but He can detain them in the lake of fire, and ignore them forever. 19 But with the precious blood of Christ, as of a Lamb undefiled, and without spot. And after God's undeserved gift of salvation, 1 Corinthians 15:1-4 comes into effect. 5 But to him that worketh not, but believeth in him that justifieth the ungodly, his faith is counted for righteousness. Calling on the name of the Lord JESUS Christ with our mouth and/or our hearth and mind is not a work but a spiritual act of FAITH. THANK YOU, God, our SAVIOUR and LORD JESUS! LET THIS SONG BE A WARNING! 22 He sitteth upon the circle of the earth, and the inhabitants thereof are as grasshoppers, he stretcheth out the heavens as a curtain, and spreadeth them out, as a tent to dwell in. There are no genuine photos of earth as a ball from 'space'...they simply do not exist. @Hans S Actually God created the earth, and somewhere in Isiah it says that "God's heavenly throne sits on the circle/globe of the earth." Does the USA LIE about the true shape of the earth? YES! Does RUSSIA LIE about the true shape of the earth? YES! Does CHINA LIE about the true shape of the earth? YES! Does the EU LIE about the true shape of the earth? YES! Does the UN LIE about the true shape of the earth? YES! Does 'science' LIE about the true shape of the earth? YES! Does the POPE LIE about the true shape of the earth? YES! 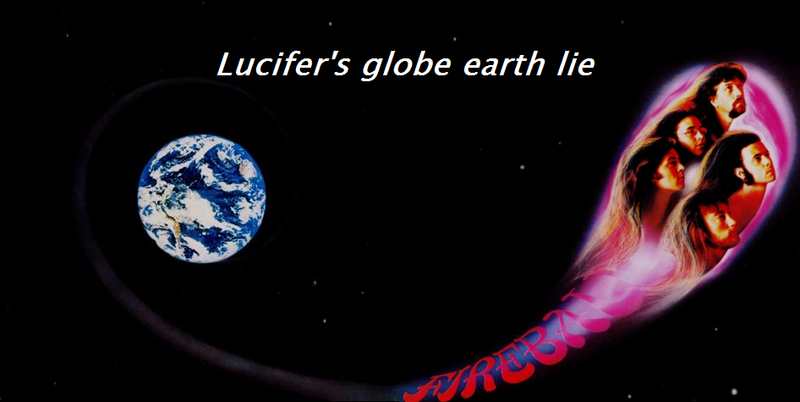 Does SATAN LIE about the true shape of the earth? YES! 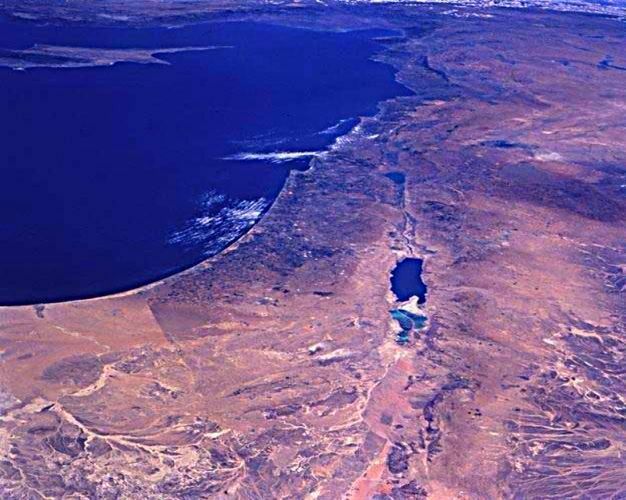 Does the BIBLE LIE about the true shape of the earth? NO! @Christopher Kupetz Don't think so they started Nasa.